Store credits are more than just a substitute for a cash refund. They're a powerful customer service tool that can open up new ways for you to process returns. The way you implement store credits as a customer service strategy should depend on what you sell and what your customer base is like, but if you've been thinking of store credits as a "weak" version of a refund, it's time to reevaluate what they can do for your business. In fact, store credits should be considered a vital component of your complete online shopping cart solution. 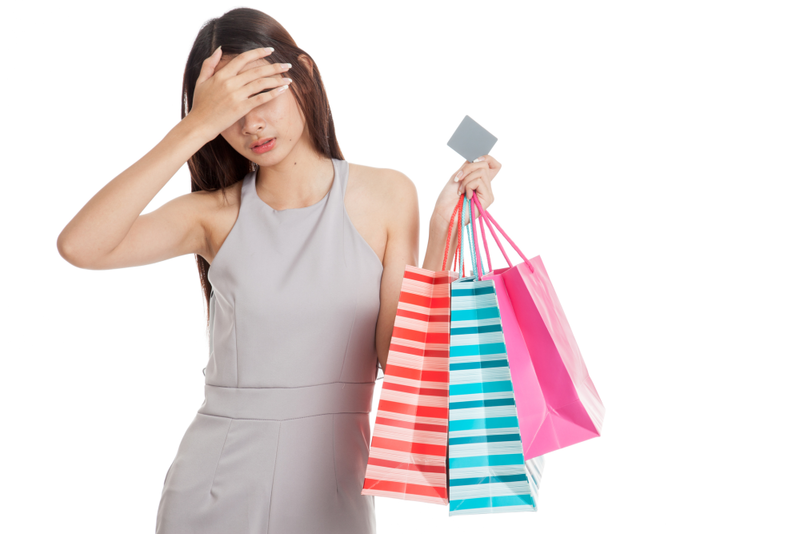 Here are three benefits of store credits that are worth your consideration. Sometimes, arriving at the perfect return policy is hard. Much of the difficulty lies in what you sell. If you manufacture homemade candles or soaps, for example, it's pretty obvious you won't accept returns of half-melted or used products. But, what if a customer buys a set of three candles, burns one of them, and then wants to return the other two because they don't like the scent? Similar things can happen in other industries, too. What if a customer wants to return an item that isn't in fully salable condition, like an item with a missing part, or a product in need of repackaging? In most situations, you'd have two options: simply refuse the return, or accept it in less-than-ideal condition and suffer the financial losses involved. With the ability to issue store credits, a whole other course of action appears. You can accept returns of incomplete sets of items, or even incomplete products, and offer store credits up to the value of the items actually included in the return. Let the customer return the two remaining candles, and give them store credits equivalent to the value of those two candles, which you can then repackage and resell. Accept items with missing parts and issue store credits for the price of the item minus the cost of replacing the missing parts for resale. Your customers will feel as if you've dealt with them fairly, and you'll recoup some of your expenses while still remaining customer-focused. This strategy can be adapted to many different online stores selling a variety of products. It may surprise you, but some customers prefer store credits over a refund. At the root of this is the longstanding mistrust of banks and credit card companies. All it takes is one overly-late refund in a customer's lifetime to make them permanently wary of trusting their money to appear back in their account. Customers expecting a refund can become very anxious when the money takes time to reappear on their card. In fact, American Express lists slow refund speeds as a major contributor to lack of customer trust in a business. Unfortunately, part of this refund process is out of your hands — no matter how quickly you initiate the refund, you still need to rely on the payment provider and the customer's financial institution to complete the refund in a timely manner. With store credits, you can offer an alternative to the wait. Another reason for customer preference for store credits is that they can begin to shop for their replacement purchase immediately, without having to wait for their refund to process, or alternately, they don't have to choose an exchange item right away. Store credits work great for gift recipients of items purchased on your online store, when the person returning is not the original customer and the actual payment shouldn't be refunded, so you can consider Store Credits as a gift-shopping tool. You should always offer store credits as an option. Besides, if a customer actually asks for store credits, you can take it as a good sign — they definitely intend to shop with you again. You might wonder how exactly store credits can prevent returns. They can, in a few specific situations, while simultaneously providing you an opportunity for legendary customer service. Have you ever bought something and then, three days later, found it $10 cheaper at another location? Or maybe, shortly after your purchase, the price of the item was permanently decreased. This situation can leave customers feeling cheated and frustrated. It's not incredibly common, but some customers will go as far as to return their purchase in order to buy the same item elsewhere, for the lower price, especially if they don't have to pay anything to make the return. Others will demand a partial refund, which isn't always possible. Many other customers will simply take the hit, although they'll still likely feel bad about it. With store credits, you can turn this situation to your advantage. If an item you sell experiences a price drop, you can issue store credits to make up the difference. It's up to you how recent a purchase needs to be, but customers who bought the item within a week or 10 days are the most likely to feel cheated by the price change. Even if the price of the item only drops by a few dollars, customers will feel extremely valued if you issue the difference to them. Doing so gives the impression that you're doing your best to be fair within your means. Store credits are a great way for savvy online sellers to enhance their returns process. The best part is that smart usage of a store credits feature can make you stand out from the crowd, simply because many merchants don't put much thought into their potential. The returns process altogether is frequently cited as a factor that separates the good online stores from the bad. To find out more, download our free Best Practices for Handling Returns ebook, and learn how to make your returns process easier for both you and your customers.